The property is located on the corner of Scorer Street and Cross Street. Scorer Street is located directly off Lincoln High Street and Cross Street provides direct access to Lincoln City Football Club Ground. In addition, the premises are located within a densely populated residential district, providing an excellent catchment area. This fully equipped Fish & Chip Shop is located within a densely populated residential district and close to Lincoln City Football Ground and benefits from having an excellent reputation and trading history. The ground floor premises are available on Lease and the business is fully equipped. In addition to a healthy turnover, the business benefits from a ‘Food Hygiene Rating of 5’. Mains electricity, gas, water and drainage are all understood to be connected. 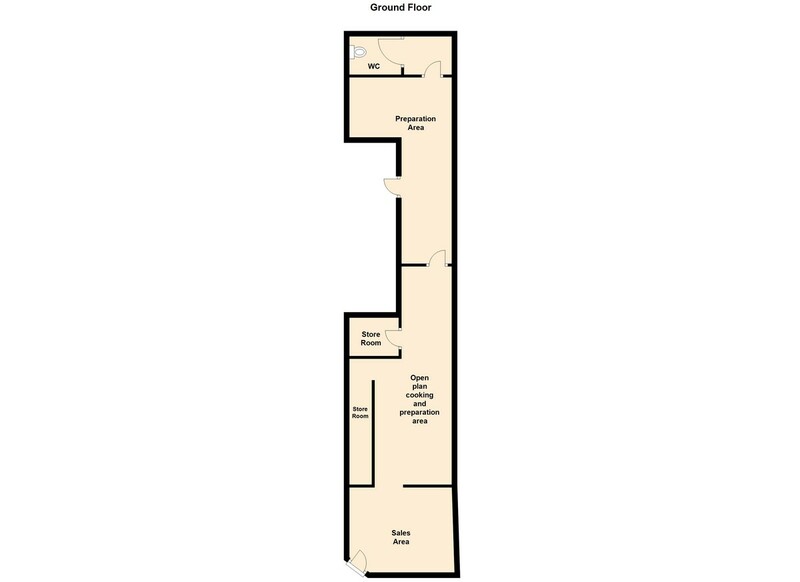 The property is available to let under the terms of a new Lease for a period of six years, subject to a rent review at the end of the third year. The rent is £8,000 per annum, payable monthly in advance. Rateable Value £2,750. In the event that a full rating liability is required, the current rates payable would be £1,317.25 (Rate to the pound for 2017/18 is 47.9 pence). VAT may be applicable in addition to the rent and purchase price. By prior appointment through Mundys Commercial.